Is there a relationship between your effort and test scores? Does a car lose value over the years? These questions and more will be addressed in this lesson. 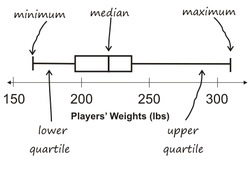 Correlation - How two sets of data relate to each other. Minimum - lowest number in your data set. Lower Quartile - also called the "first quartile". 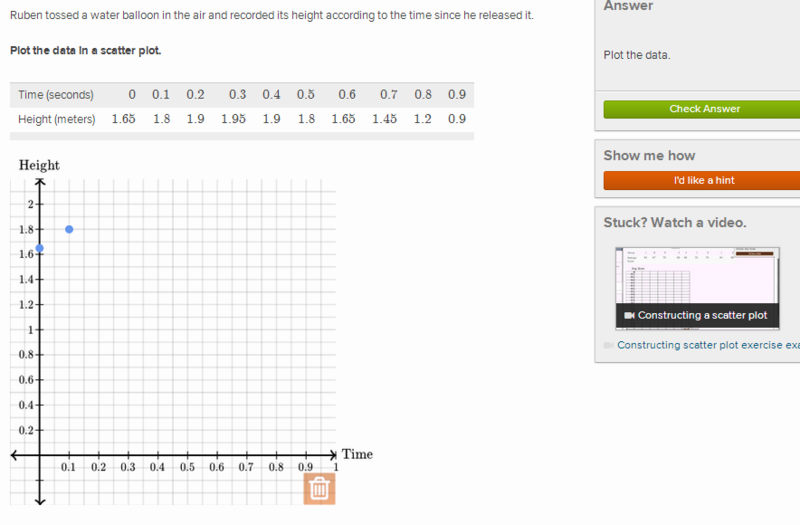 This ranges from the first data point to the start of the box. Upper Quartile - also called the "3rd quartile". 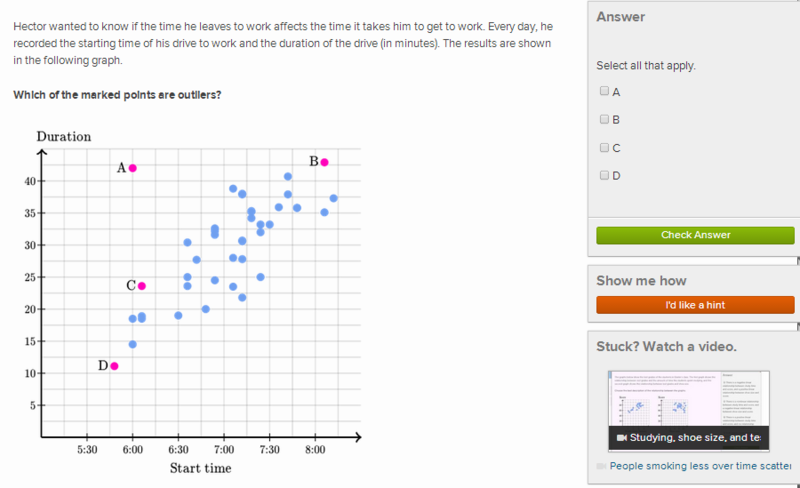 This ranges from the end of the box to the last data point. Maximum - greatest number in your data set. 1.) 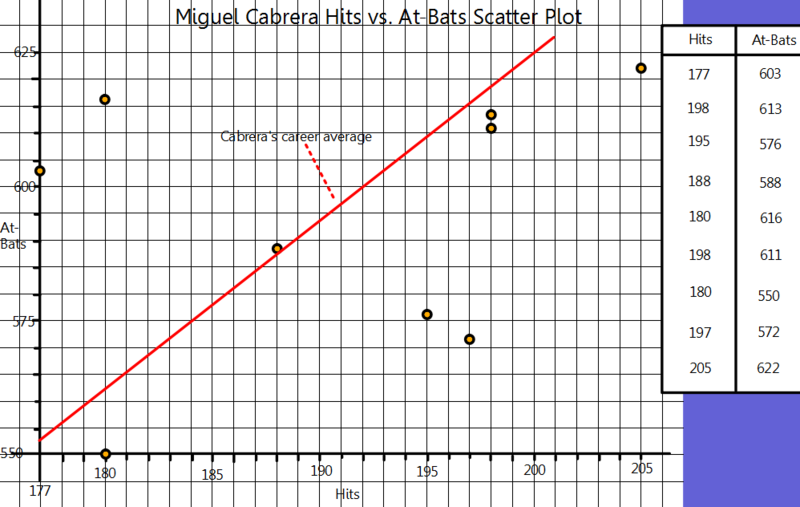 If Miguel had 625 at-bats in a year, how many hits should he expect to get? 2.) What is Miguel's career batting average? 1.) How many times has Albert surpassed his average home run total? 2.) 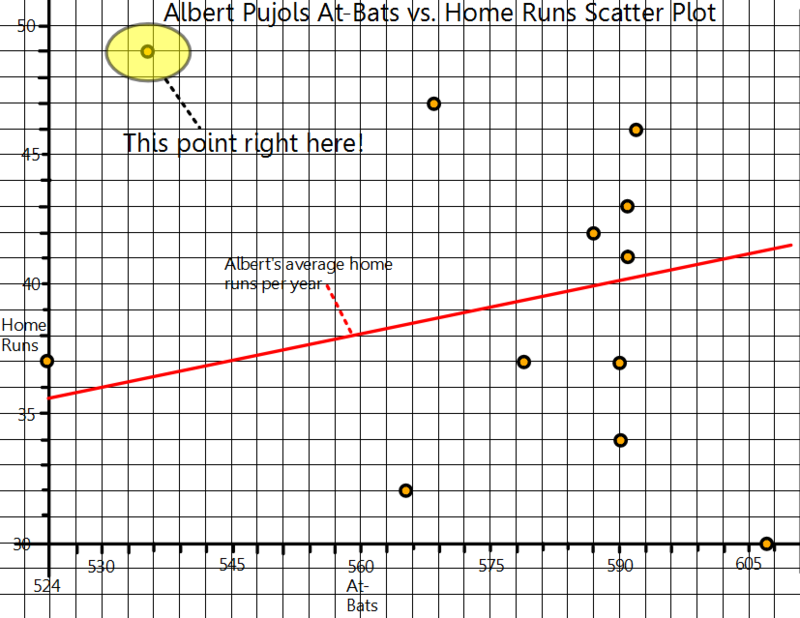 Identify the point on the grid where Albert had his best home run to at-bat ratio. 3.) 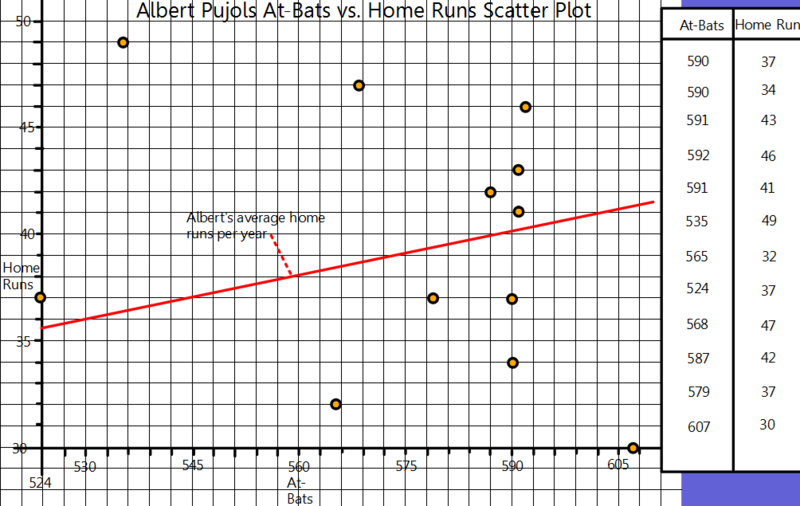 If Albert gets 602 at-bats, how many home runs can he expect to hit?